Mandy Mohler started Field Guide Designs after spending a week in the Bob Marshall photographing items she found in the Spruce Park Cabin. She says her business wouldn't be possible if it weren't for Montana's public lands. Rasker unveiled a new study by his Bozeman-based nonprofit Tuesday afternoon at the Last Best Outdoors Fest, hosted by Business for Montana’s Outdoors and the Montana Brewers Association, in Columbia Falls. Rasker says in Montana, the five counties with the most public lands are also the five counties with the fastest job growth in the state. In Flathead County, for example, population and employment each grew by 29 percent between 2000 and 2015, and personal income grew by 54 percent. Rasker says public lands within and around the county have a lot to do with that. "Our public lands are a competitive advantage that attract entrepreneurs who want to live here, and keeps people from leaving," Rasker says. "We use it to attract talent. It attracts non-labor income -- retirement income, investment income. And it stimulates an outdoor recreation economy. So it has layer upon layer of benefits to Montana." Rasker’s definition of the outdoor economy is broad. He lumps-in healthcare and tech jobs with more traditional recreation-oriented gigs like guiding and waitressing. "When I decide I want to live in a place like Montana and recruit talent to come work for me, and they then go to a hospital, that's part of the outdoor economy. When a retiree decides to go live in Whitefish, and they buy a house, that’s part of the outdoor economy. When somebody goes to a store to buy a stand up paddleboard and go paddle the lake, that’s part of the outdoor economy." Using this broad definition, Headwaters Economics pegs the state’s outdoor economy as generating $2.2 billion in wages and salaries for some 71,000 jobs, and bringing in $7.1 billion in consumer spending. Rasker includes businesses like Mandy Mohler’s fledgling fine art photography pop-up. "I'm called 'Field Guide Designs' because each of these are kind of like a page from a book of birds, but instead of that they're people." Mohler’s signature style is to shoot what she calls abstract portraits, perfect grids of tools, used by the people who live and work in the mountains surrounding the Flathead Valley. She got the idea during a week-long artist residency in the Bob Marshall Wilderness. She and two musicians packed into the Spruce Park Cabin in the Great Bear Wilderness. "I ended up actually carrying about 60 pounds of photography equipment back there." And her style was born. That was in 2012. Five years later, Mohler says Field Guide Designs brings in almost enough money to support her financially, and it wouldn’t be possible if she didn’t live in the Flathead Valley. "This all started because of where I live, and the wilderness." But with the vast and varied business opportunities Montana’s public lands can inspire, come some challenges, like where to house people flocking to these new jobs. Senator Jon Tester, who was a featured speaker at the Last Best Outdoors Fest, says affordable housing is a problem across the state. "I can tell you how we can address that issue, it's by local, state and federal partners working together," Tester says. 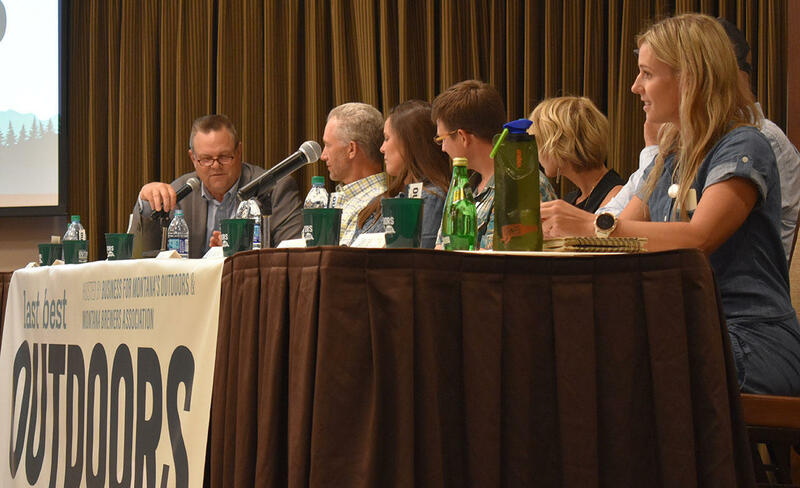 Senator Jon Tester, Randy Newberg (Fresh Tracks), Sarah Calhoun (founder, Red Ants Pants), Matt Leow (executive director, Montana Brewers Association), Nicole Hagerman-Miller (managing director, Biomimicry 3.8), hidden is Ryan Busse (Kimber Firearms), Caroline Gleich (pro ski mountaineer representing Patagonia) on a Last Best Outdoors Fest panel in Columbia Falls, MT, August 22, 2017. Resort towns like Whitefish and Bozeman are working on affordable housing strategies to keep their workforce local. There’s also the issue of how much growth is too much. Popular tourism destinations, like Glacier National Park, which has seen back-to-back years of record breaking visitation and hit the million visitors in a month mark this July, are nearing maximum capacity. "We are evaluating and looking at what is a safe amount of people to have in some of those smaller areas for ingress and egress. If there was an emergency, could we get those people out." Glacier started temporarily closing some areas of the park this summer to ease traffic congestion and recently set a time limit for some of the parking spaces at the parking lot at Logan Pass to keep people moving. Alley says the Park will release a draft corridor management plan for the park’s busiest area, Going-To-The-Sun Road, sometime this winter. "Those propose everything from, sort of, an expanded shuttle system to some sort of timed entry or reservation system. A lot of different actions that we could take to protect some of the resources, whether it’s hardening some portions of a really popular trail so that we don’t see as much erosion. That plan addresses a lot of that stuff." Still, as the Park addresses its growing pains, nearby communities in the Flathead Valley reap the benefits. In 2015, visitors to Flathead County spent $635 million, and as the number of tourists continues to rise, so do expectations for the revenue they generate. In Columbia Falls, I’m Nicky Ouellet, Montana Public Radio. For the first time, more than one million people entered Glacier National Park in a single month. Park officials made the announcement Monday. The crowds are causing park officials to set time limits on some parking spaces, including up at Logan Pass. Next week about 60 parking spaces at the pass will have a one hour limit, aiming to move along the traffic congestion in the Going-to-the-Sun Road corridor. 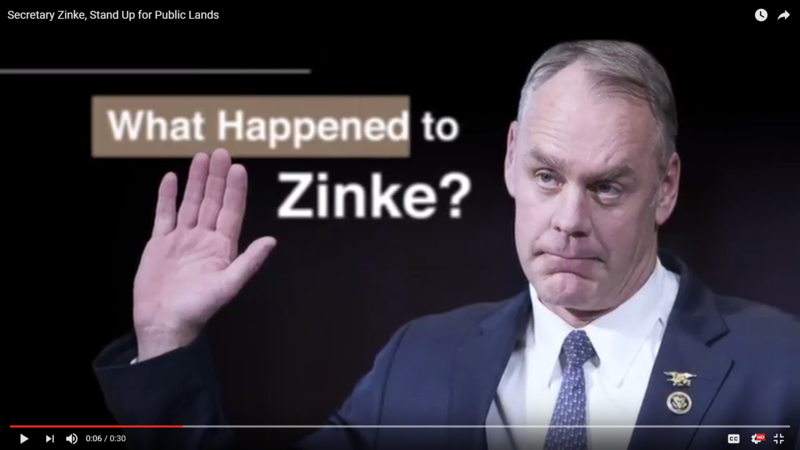 First, a clarification: the 1964 Wilderness Act provides for areas where “the earth and its community of life are untrammeled by man.” Executive Director of the Bob Marshall Wilderness Foundation Carol Treadwell said it’s commonly confused as untrampled. “Untrammeled means uncontrolled. So, in a natural state, letting natural things take place and not being tweaked by human influences. It’s there for the wildlife, and so that we can have wild experiences,” Treadwell said.